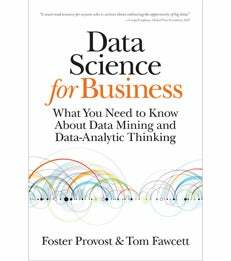 In their new book, Professor Foster Provost and Tom Fawcett present a set of fundamental principles for extracting useful knowledge from data. These fundamental principles are the foundation for many algorithms and techniques for data mining, but also underlie the processes and methods for approaching business problems data-analytically, evaluating particular data science solutions and evaluating general data science plans. The book is intended for those who need to understand data science/data mining and for those who want to develop their skill at data-analytic thinking. O’Reilly Media released the book on August 16. Data Science for Business is already being used as a textbook by more than a dozen universities in eight countries. Foster Provost is Professor of Information Systems and NEC Faculty Fellow.